CHOPIN Polonesa No. 6 en La Bemol Mayor Op. 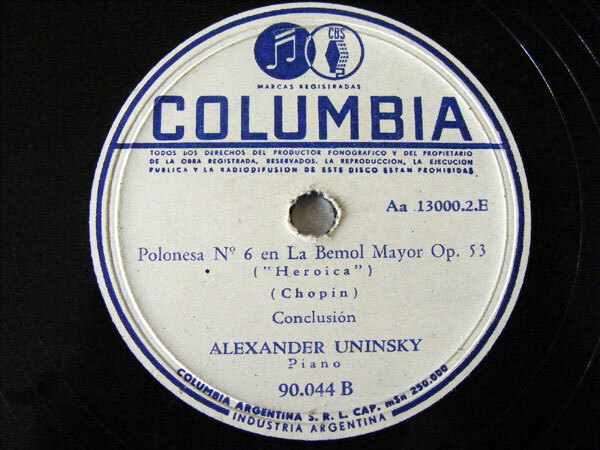 53 "Heroica"
Click the button below to add the ALEXANDER UNINSKY Arg COLUMBIA 90044 78rpm CHOPIN Pol#6 to your wish list.